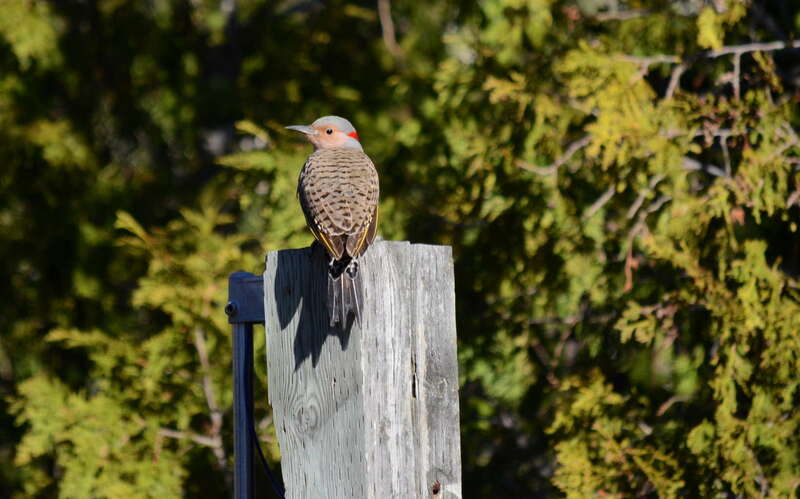 Bob and I were surprised when we visited my mom’s place at Oxtongue Lake, Ontario, in late April to see so many Northern Flickers, or Yellow-shafted Flickers as they are also known. 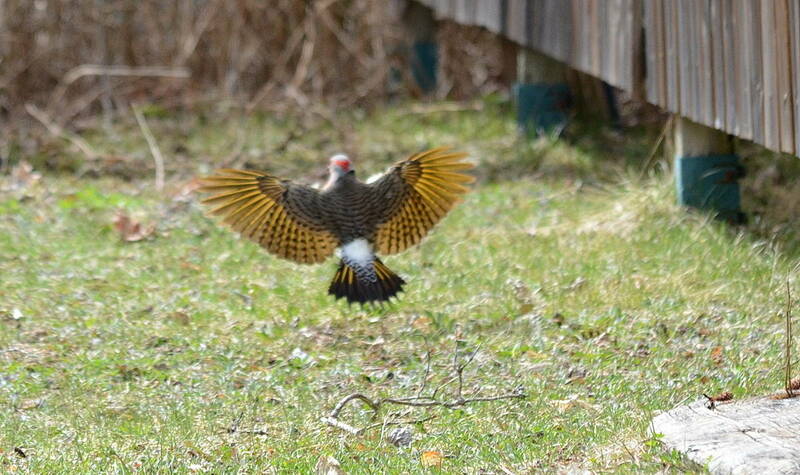 On the first day alone, we saw no less than 8 Northern Flickers, 6 at one time in a leafless deciduous tree. The same can be said for a day trip into Algonquin Park where these handsome woodpeckers were seen frequently and their rattling calls heard more often than that. Every time I peeked out my bedroom window, I would see one, two or three of the woodpeckers foraging in the sandy soil of the backyard for ants. 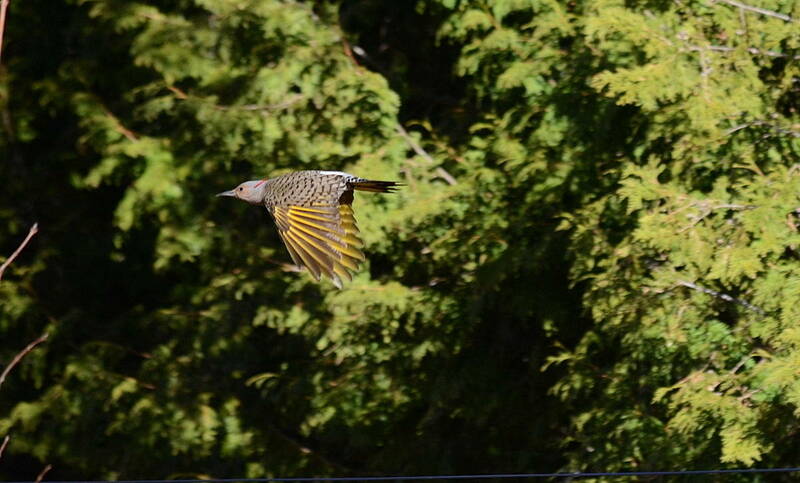 I was trying to become more skilled at photographing the Northern Flickers in flight and had fairly good luck after a few tries. 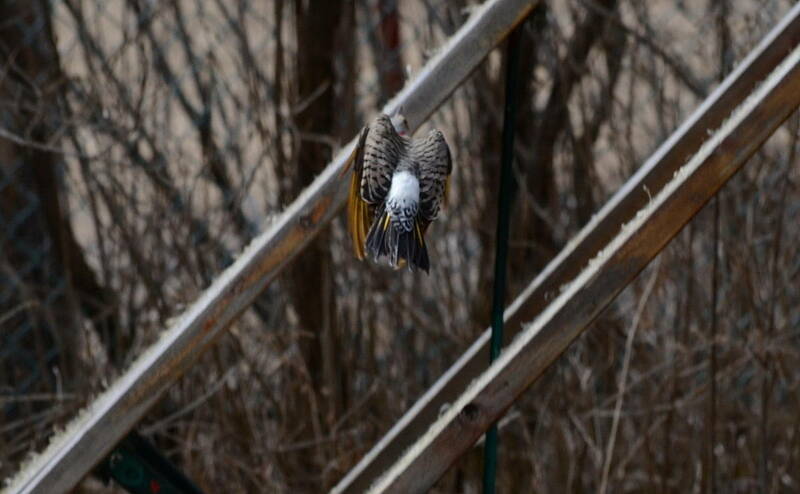 This female took wing from the pole supporting the clothesline. 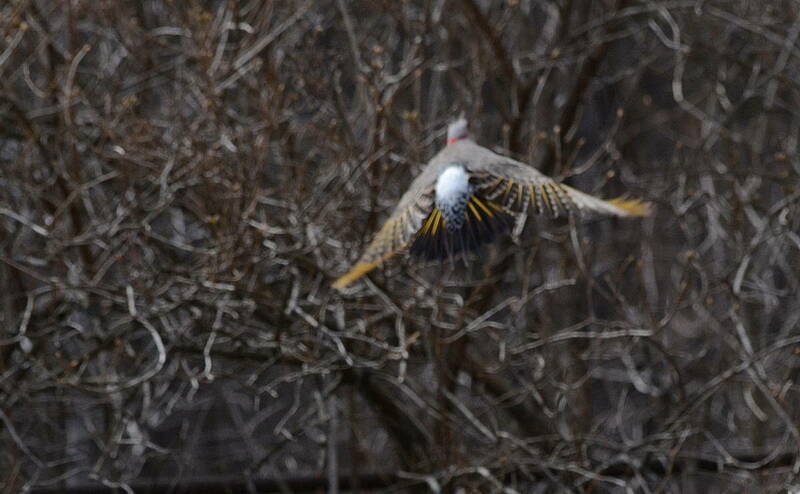 Through my series of photos, you can definitely get a reasonable look at the yellow shafts on the primary feathers and the white rump visible when the bird is in flight. With the stop-motion that comes with photos, I could get some idea as to the streamlined effect created when the wings are neatly drawn in. Quite the opposite can be said for this gorgeous display of the flight feathers with their yellow shafts made almost translucent by the sunlight shining through them. 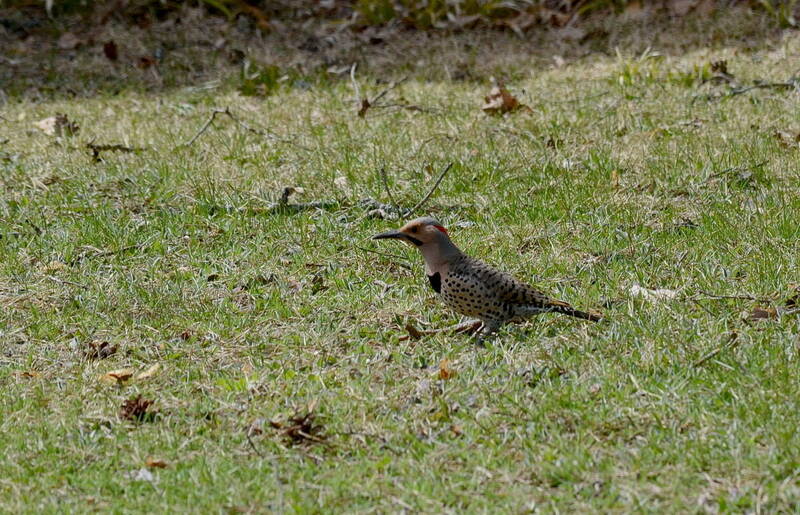 It gladdened me to know that I had actually photographed both a male and female Northern Flicker, the male here with his distinguished black moustache. Migration was in full swing quite apparently with the birds returning from their winter grounds on the Pacific coast of the United States and northern Mexico. No wonder they had such voracious appetites!